Information displayed on this page was obtained from various sources and although every care has been taken to ensure the correctness of the information provided, all information have not been verified and should be viewed in that context. No reference made to other realty companies are made with the intent to act as them or portray any item, listing or document as our property. Statistics and Historical information is left on the page for archieval and reference purposes and was deemed correct at the time of publication. No information is published with the intent to persuade current Realty clients of other brokerages to cancel their dealings with such brokerages. 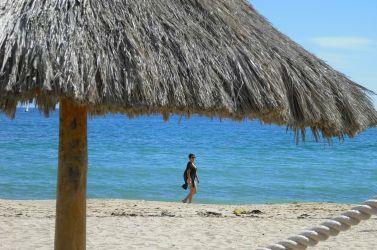 Fall is here and the heat and humidity are leaving and allowing the perfect weather to settle in Rocky Point, Mexico. This is arguably the best time to be in Rocky Point. Time stand still and the beach bars fill up at happy hour. Laughter is heard everywhere and soon the summer will be forgotten and we will laugh with the visitors complaining about shovelling snow. Yes we truly are fortunate to live in Rocky Point. I have to mention that the shrimp season has started and with that we can again get the freshest shrimp at amazing prices. A lot of things have happened since we last spoke and I will try to cover some of the highlights in this newsletter. Most important is probably that prices for Real Estate have rissen and continues to rise as well priced properties are getting scarce. The Money laundering act has been published and is now law. The Airport is a success and the home Port is going to be built. The Mayor is actively promoting tourism in Rocky Point, and rental companies are seeing the difference. This year had more sell out weekends than any year in the last five years. Some companies have already earned more income than in the whole of last year. 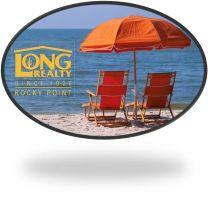 If you were planning to own Real Estate in Rocky Point, you should not delay. We are seeing a great future for this little vacation city and if you cannot see the changes then you probably have not been in Rocky Point for a few years. Contact us for all your Rocky Point Real Estate investments and let us assist you to own your vacation dream. Condos for sale wanted urgently. There are buyers waiting for your well priced property. Call us to find out what your property is worth in todays market! We are looking for long term rentals . 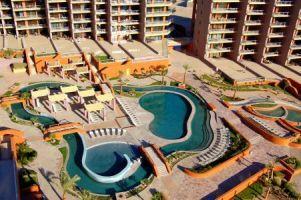 We have prequalified renters waiting for properties in resorts such as Las Palomas and the Sonoran Resorts. $1,190 000 USD. 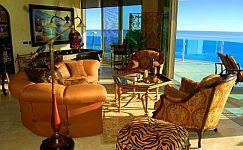 Most luxurious 3B/4B Penthouse on Sandy Beach, furnished from around the globe. Schedule a showing now! 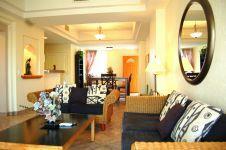 $ 474,000 USD Beachfront 3B/3B unit Fully Furnished, Lock off private suite, jetted tubs and great decor and design. A must see! $ 215,000 USD Sorry this one has been sold. Watch this space for new opportunities. 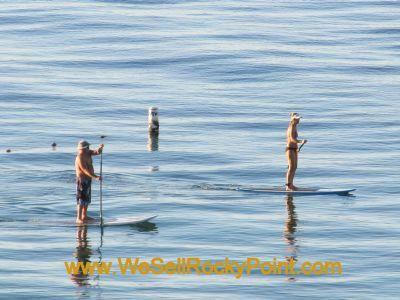 visit wesellrockypoint.com! or call me at USA (+1) 623 255 7454 or MXN (+521) 638 386 9595. 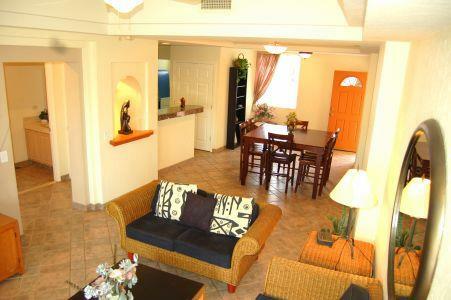 Las Palmas has been talked about for some time now and is known as the resort with the lowest HOA fees on Sandy Beach. It is well maintained and the HOA fees have been reduced. This is an unique achievement and all praise have to be given to the HOA management and their consultants. During a recent meeting, the HOA of Las Palmas has announced that they will be improving the Resort. They are intent to upgrade current facilities and take the Resort to the next level of excellence. Future plans include installing Solar Panels for pool heating and Generating Power for the Resort to save on high utility bills. The biggest Water Slide on Sandy Beach has been completed and it ends in the heated section of the pool. 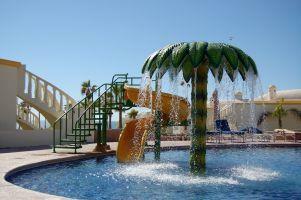 This is the only resort with two large waterslides and the only heated waterslides in Rocky Point. Upgrades to the units includes low maintenance aluminum and glass railings that will improve the safety on the patios while offering unobstructed views. This has greatly improved the sellability of the resort. Energy efficient LED lights with Solar Panels will be installed in the parking areas. These would provide light while parking after sundown and saving on electricity. The Med restaurant on site has proven that they can accommodate and cater for groups of 120+ people in the new events room and bar. The Gala charity dinner hosted by Castaways Kids with the mayor and his wife was a huge success and all tickets were sold out prior to the event. This is fast becomming the best investment resort on Sandy Beach and prices are steadily rising. So if you want to own something in this resort, my advice is not to delay.This is a great time to invest in Mexico and Las Palmas Rocky Point is the place to be. This is a steal - second row corner lot for only $ 45,000 USD. This lot is waiting for you. Act now and make this lot yours! Ready for your vacation. Bring your rv and enjoy the stay. Walk to the beach or to the restaurants. Price Reduced in great location Call now and own this bargain! The Commission for the Promotion of Sonora Tourism said that construction of the Home Port of Puerto Peñasco, consisting of 600 million pesos is scheduled to start this year and will be constructed in an estimated time of 18 to 24 months. Javier Tapia Camou explained that they are still on track to receive the first cruise passengers in 2015. 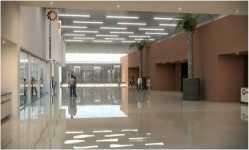 Although they have had many delays, the budget for 2014 will include this project as a priority. The other Mayor construction was the Convention Center that will be completed in 2013. The Mayor Professor Gerardo Zazueta Fiqueroa has visited with the Mexico President Enrique Pena Nieto and has received support for this project. He has offered the president the opportunity to launch the project by laying the first stone at the ground breaking ceremony. Depending on their schedules, this could happen as early as November. A lot of High Profile people have been leaving the US lately and some of them have actually denounced their citizenship. Tina Turner and Eduardo Saverin are examples of these. Tiger Woods and Phil Mickelson have recently disclosed their contempt for California taxes. Puerto Peñasco, Mexico still offers you a great alternative as it is only 1 hours’ drive south of the border and situated between the Sonoran desert and the warm Sea of Cortez. The weather is close to perfect and $1200.00 USD a month will still get you a condo with Sea view and a luxurious level of quality. Property taxes are still in the region of $100 USD per year and with new retails outlets such as the Sam’s Club, Wal-Mart (Bodega Aurrera) and the Porto Mio Shopping Mall with six cinemas the city of Puerto Peñasco is fast becoming a great place to be. Add to that the twice weekly flights to Las Vegas, Cruise liner home port, convention center and three excellent golf courses and you can understand why all the investors are grabbing the good deals as fast as they come on the market. Crowds gathered at the Rocky Point international airport to welcome the first tourist disembarking from the Aero Mexico flight. On June 20, 2013 at approximately 12:36 pm history was made when the first commercial AeroMexico flight touched down from Las Vegas. A ceremony was held and the Mayor Gerardo Figueroa Zazueta officially welcomed the tourists. The OCV has started with marketing campaigns in Las Vegas Area announcing the new destination. This effort included Las Vegas Travel Agents visiting Rocky Point to valuate and experience first hand what is on offer. 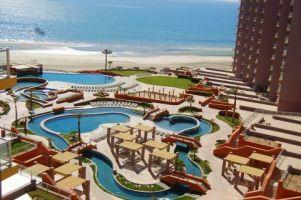 Online bookings can be done on http://www.aeromexico.com and the airport code for Rocky Point is PPE (Puerto Peñasco). Flights will depart on Thursdays and Sundays. The flight duration will be less than two hours. There have been some parties that are still calling this a Buyers’ Market and are under the impression that all prices will be slashed for their offers. Warren Buffett hit the nail on the head when he pointed out that you don't go to a barber asking if you need a haircut. In the last three offers that we were involved in, we had no less than three parties making offers on each property prior to acceptance. The inventory had decreased and the quantity of sellable units is down. In most of the resorts the lowest priced properties have increased their listing value by thousands. Well priced units receive offers quickly and there are more investors keeping their eye on properties now. The Real Estate Market in Rocky Point is still heading in the right direction. The Listings sold in 2012 to October 18, 2012 compared with the same period this year shows an increase of 44.7%. Active listings on the market for the same period has decreased by 7.9%. New listings being brought into the market for this last month has decreased by 29.7 %. The biggest change can be found in the absorption rate. The absorption rate is the months that it would take to sell all the properties in the inventory at the current rate of sale. The absorption rate came down with an astounding 48.68 %. The absorption rate has shown a constant decline from June 2012. The average sales price has increased by 44.51% and the average list price has increased by 5.94%. This clearly indicates that the listing prices are slowly increasing and the sellers are now getting better offers on their properties. *Rental rates are based on 12 month agreements and exclude electricity. For more information please click on the pictures and view the property on our website. Rates subject to change for shorter terms. Should you or any of your friends require any information about Real Estate in Rocky Point, Mexico, please do not hesitate to contact us at wesellrockypoint@gmail.com. Adios, until we meet in Rocky Point, Mexico. 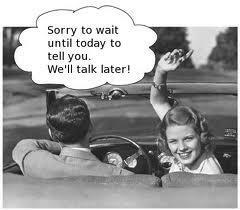 PS: We are never too busy for your referrals and value them greatly! The summer is here and tourists are seeking refuge in the tranquil waters of the Sea of Cortez. The golf courses are green and the beer is cold. The weekends are packed full of events and activities and you hear laughter and fun wherever you go. We are truly blessed and fortunate to live in this vacation city on the Sea of Cortez. The Real Estate market is heading in the right direction with the new act that will allow foreigners to own property outright in Puerto Penasco (Rocky Point). The new proposed Act is in the process and will be voted into Law soon. Sources have indicated that the Government is eager to open the market further and allow foreigners to invest and own Real Estate in Mexico. The best news however is that you can fly from Hermosillo to Rocky Point and then on to Las Vegas, NV. Please see the full article down the page. Investing in Rocky Point is becoming a must do and for a while now investors have been picking up the lower priced properties and prices are going up. Please see the Market report later in the newsletter. A great picture is painted by the city of Rocky Point and if you hurry you could be part of it. Condos for sale wanted urgently. There are buyers waiting for your well priced property. Call us to find out whatyour property is worth in todays market! We are urgently looking for long term rentals . We have prequalified renters waiting for properties in resorts such as Las Palomas and the Sonoran Resorts. $ 679,000 USD Designer 3B/4B unit $175K spent on interior, heirloom quality furniture on the beach. A must see! $ 215,000 USD Best Priced true 3B/3B with wrap around patio and lockoff master. Offer Now! The Med restaurant on site has proven that they can accommodate and cater for groups of 120+ people in the new events room and bar. The Gala charity dinner hosted by Castaways Kids with the mayor and his wife was a huge succes and all tickets were sold out prior to the event. This is fast becomming the best investment resort on Sandy Beach and prices are steadily rising. So if you want to own something in this resort, my advise is not to delay.This is a great time to invest in Mexico and Las Palmas Rocky Point is the place to be. Ready for your vacation. Bring your rv and enjoy the stay. Walk to the beach or to the restaurants. Very well priced in great location Call now and own this bargain! 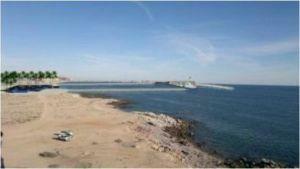 · The Port entrance will be where the Wrecked at the Reef is now and sadly the Wrecked will no longer be at the reef. This project will revive the tourism industry and strengthen confidence with investors. The new Mayor Professor Gerardo Zazueta Fiqueroa has taken a strong stance on any form of corruption and will improve the security of investments and tourists. The Real Estate Market in Rocky Point is still heading in the right direction. The Listings sold in 2012 to July 3, 2012 compared with the same period this year shows an increase of 50.5%. Active listings on the market for the same period has decreased by 8.7% from 526 to 445. New listings being brought into the market for this last month has decreased by 21.7 %. The biggest change can be found in the absorption rate. The absorption rate is the months that it would take to sell all the properties in the inventory at the current rate of sale. The absorption rate came down with an astounding 51.25 %. The absorption rate has shown a constant decline from June 2012. The average sales price has increased by 43.05% and the average list price has increased by 10.29%. This clearly indicates that the listing prices are slowly increasing and the sellers are now getting better offers on their properties. 2013 has arrived, much to the surprise of al the doomsayers who expected the world to end in 2012. 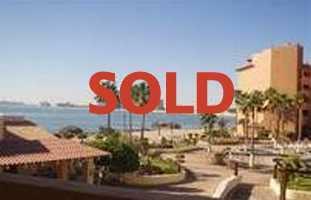 It is going to be a great year for the owners and investors in Rocky Point, Mexico. The new mayor, Professor Gerardo Zazueta Fiqueroa of Rocky Point has announced his intent to root out corruption and crime in the city and the Governor Guillermo Padres Elias has pledged his support for the increasing of Tourism to the state of Sonora and Rocky Point in General. The city is planning purchases such as 6 new garbage trucks and 2 street sweepers to help with the big cleanup efford planned for this year. Local initiatives have started to adopt streets and keep them clean. We have been telling you to invest in Rocky Point for a while now and if you look at the market information later in the newsletter you will see what I have been predicting and you will also see where we are heading. A great picture is painted by the city of Rocky Point and if you hurry you could be part of it. 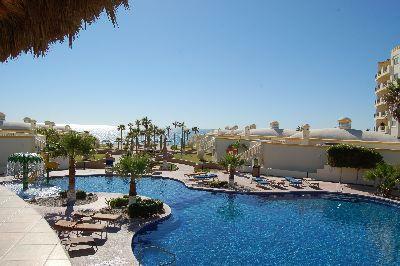 Lots of people will be travelling to Rocky Point, Mexico in this season to enjoy the beaches and sun. Vacation accommodation is on special and you do not have to stay in the cold. Come and enjoy the Valentine season with us. We are urgently looking for long term rentals . We have prequalified renters waiting for properties in resorts such as Las Palomas and the Sonorans. $499,000 USD. 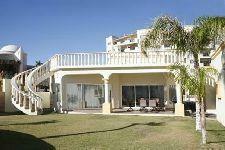 Best 4B/3B Spectacular VILLA at the beach. Owner ready for offers and quick sale! $ 679,000 USD Best 3B/4B DESIGNER UNIT $175K spent on interior, heirloom quality furniture. A must see! $ 449,000 USD Best 3B/3B True Beachfront wrap around Luxury. One of the best locations. Offer Now! 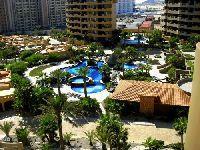 Las Palmas has been talked about for some time now and is know as the resort with the lowest HOA fees on Sandy Beach. It is well maintained and the HOA fees have just been reduced again. This is an unique achievement and all praise have to be given to the HOA management and their consultants. Future plans include installing a big Water Slide for the kids and that will end in the heated section of the pool. This will be the only resort with two large waterslides and the only heated waterslides in Rocky Point. Upgrades to the units would include low maintenance aluminum and glass railings that will improve the safety on the patios while offering unobstructed views. 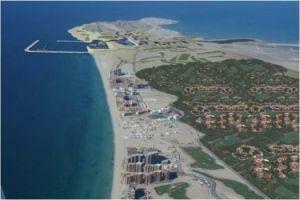 The HOA has indicated that they want Las Palmas to be a Premium Resort that functions within in low budget. They will be one of the best resorts on Sandy Beach. 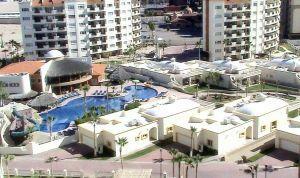 This is a great time to invest in Mexico and Las Palmas Rocky Point is the place to be. This is a steal - second row corner lot for only $ 45,000 USD. Walk to the beach or watch the sunset. This lot is waiting for you. Act now and make this lot yours! The Real Estate Market in Rocky Point is still heading in the right direction. The Listings sold in the first quarter to date compared with the same period last year has shown an increase of 75%. Active listing on the market for the same period has decreased by 9.5% from 597 to 540. New listing being brought into the market has decreased by 11.4 %. The biggest change can be found in the absorption rate. The absorption rate is the months that it would take to sell all the properties in the inventory at the current rate of sale. The absorption rate came down with an astounding 31.28 %. The absorption rate has shown a constant decline from June 2012. The average sales price has increased by 12.44% and the average list price has increased by 1.85%. This clearly indicates that the listing prices are still in the current range, but the sellers are now getting better offers on their properties. The time has flown and the year is comming to a close. The festive season is upon us and the shopping is esculating. Gifts, Gifts, Gifts, the ever question of what to buy and will they like it. The winter is at the door and the snow is starting to stick. Merry Christmas to you and yours and may this be a wonderful christmas full of love and friendship and may all the gifts be perfect. Maybe it is time for that vacation condo on the warm beach after all. Lots of people will be travelling to Rocky Point, Mexico in this season to enjoy the beaches and sun. Vacation accommodation is on special and you do not have to stay in the cold. Come and enjoy the festive season with us. See our market discussion lower on the page and you will realize the importance to act now. Contact us for all your Rocky Point Real Estate investments and let us assist you to own your vacation dream. Condos for sale wanted urgently. There are buyers waiting for your well priced property. Call us today and see what it is worth in todays market! $175,000 USD. 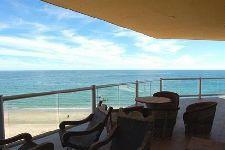 Best 2B/2B Spectacular Condo on the beach. Reduced for quick sale! $ 200,000 USD Best 3B/3B LOCK OFF MASTER with Wrap around Patio. Price will increase soon. Last Chance! 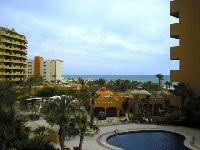 $ 189,000 USD Best 2B/2B ground floor in Las Palmas Resort. Great location and pool access. While most countries in the world are struggling with survival, Mexico has again proven to be resilient and the state of Sonora is no exception. Sonora has shown an annual 7.1% growth in GDP. Sonora showed a 5.4% increase in primary activities such as agriculture, livestock, forestry, fishing and hunting. Activities such as mining, manufacturing, construction and electricity, gas and water supply pipeline to the final consumer Sonora has increased with 3.1%. 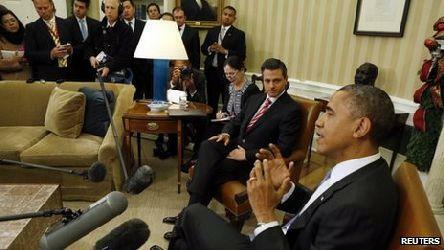 As the president of Mexico Enrique Peña Nieto sat down and discussed politics with the US president Barack Obama in the White House they confirmed a continued battle against drug cartels and the implementation of immigration reforms. Little was said about expansion of trade between the countries. Mexico is on the rise and soon the words “Hecho in Mexico” will replace the “Made in China” on consumables in the US. Wages in China has quintupled in the past ten years and the oil price has trebled. Mexico is already the biggest exporter of flat screen televisions, BlackBerrys and fridge-freezers, and is climbing up the rankings in cars, aerospace and more. At current trends the US will be importing more from Mexico than from China by 2018. Politicians refuse to acknowledge that less Mexican citizens want to work in the US and more US citizens are migrating to Mexico for the cheaper and more relaxed lifestyle. They insist on overestimating immigration and undervaluing trade. Unemployment has decreased from a high of 5.8% in 2011 to 5.4% in October 2012. With the new Natural Deep Water Harbor in Guaymas and the improving of the rail system to a distribution Hotspot in Tucson AZ from where goods will be distributed throughout the US the imports from Mexico could even exceed China before 2018. This is a great time to invest in Mexico and Rocky Point is the place to be. The newest announcement by the US government warning citizens to travel anywhere in the world other than the US do not come as a surprise as it deters travel outside of the US and keeps much needed dollars in the country. The President of the Sonora Chamber of commerce said that this warning will not deter visitors to Puerto Peansco as most owners who have visited the city knows the true state of affairs and will not hesitate to return. Not one person interviewed by Travel writers such as David Rush, Local real Estate Professionals, Vacation rental companies and state officials has indicated that they feel unsafe in Rocky Point, Mexico. People enjoy the tranquil relaxed vacation destination without harassment and fear. Only tourists who have not been to Rocky Point are influenced by these warnings. The ease with which one lives in this city with all the beautiful and attractive tourist centers cannot be compared to any other tourist destination in Northern Mexico. Rocky Point is privileged that all the visitors during the last few months will promote the safety and enjoyment to everybody they know. They all enjoyed the weather and great entertainment in the area. Young men and woman went on tours, Shopped in the attractive arts and craft stalls and reveled in rich and delicious seafood dishes on offer in the restaurants. The Municipal Administration in the city of Rocky Point continues to maintain the safety and securityof both the population and visitors who are the core to the economy. Come visit us and see what you have been afraid of all this time. You will laugh at all the negative press you have previously believed. 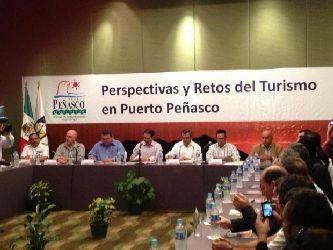 The governor of the state of Sonora has visited Rocky Point to discuss the Perspectives and Challenges of tourism. Statistics were presented indicating an increase of 16% in occupancy rates year over year from 2011. Nearly 1.5 million visitors arrived in the area during this year. Summer was the highest tourism season and showed an increase of 25%. An estimated 74 million dollars by tourism was one of the most important pushes for economic growth and the creation of jobs in the City. 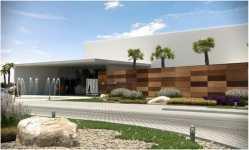 Projects that are receiving attention at this time are: the widening of the Caborca Highway, The expansion of the Mexican Border entry at Sonoyta for the comfort of American Tourists visiting Rocky Point, The commercial flights that will soon be providing aerial travel between Las Vegas, Rocky Point and Hermisillo and will commence in February of 2013 and run three times weekly. The state tourism director Javier Tapia Camou discussed the progress on the creation of the Home Port for cruise liners that will be the first Home Port in all of Mexico. This will be constructed in various phases and the first phase will allow ships with a length of 300 meters to dock and disembark. This project will include a cruise ship terminal. The project will take approximately 2.5 years to construct and there are companies ready to immediately program their routes as soon as the construction commences. The inauguration and launch of this project is programmed for the first quarter of 2013. 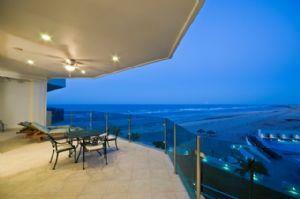 The real Estate forecast for 2013 is described as “Slow but promising”. Commercial store openings are on a four year high and led by Dollar stores and Restaurant chains. Subway plans to open 5000 new stores and Five Guys Burgers are to open 1200. Dollar general is planning 650 stores, Family Dollar want to open 500 and Dollar tree 350 stores. Big money seems to be betting on the return of the market in 2013. The Blackstone group of New York bought 6500 single family homes for more than $ 1 Billion Dollars, The Colony Capital Group bought 4000, and Two Harbors acquired 2200 houses. The sentiment is that Americans still want to own a home and although they are currently renting the dream has not changed. As the market returns they will still want to own their own home and will buy one. 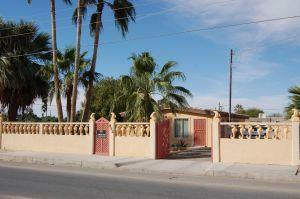 The market in Rocky Point is changing and it is becomming very clear that the market is moving into a sellers market. This process does not happen overnight, but we can definetely see the changes. An old friend uses to say that when you sit at the table and there is a steak knife at every plate, you will certainly have steak. Here are the facts as presented by the AMPI Mls: The absorption rate for inventory on the market have decreased from 45.24 Months in December 2011 to only 33.75 months in November 2012. The average sale price have increased by 5.05% from 2011 to 2012. There has been an increase of 25.6% in listings sold in 2012 and there has been 38.6% more pending transactions than in 2011. If you have a condo that you would like to sell, contact us today the time is right and we would appreciate the opportunity of working with you! The Fall season is here with all the coloring of the leaves and the snow starting to fall in the northern states. In Rocky Point it has cooled down a bit and the weather is close to perfect. 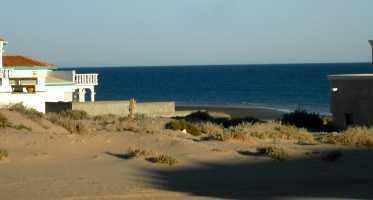 The beaches are warm and the Sea of Cortez is a delight for the tourists. Restaurant Patios are again visited for sundowners and occupied until late at night. Laughter and happy people are everywhere. Come visit us and be one of the lucky few that has discovered this great vacation City on the Sea of Cortez. We are once again entering the period where the snowbirds start visiting Rocky Point, Mexico. The RV parks are filling up and we see the demand for Medium to Long term rentals increasing. There is also more interest in Real Estate by investors and the lower priced properties are selling well. Contact us for all your Rocky Point Real Estate investments and let us assist you to own your vacation dream. We want to sell or rent your home. Call us today and see what it is worth in the current market! Rocky Point Mexico is heading into fall and this means some great events and fantastic artist’s visiting this Beach destination. The weather cools down to near perfect temperatures and the ocean becomes calm and tranquil. The best time to visit Rocky Point, Mexico. Roger Clyne & The Peacemakers had a Rare Acoustic Duo Concert Saturday October 13, 2012 inside Wrecked at the Reef in Rocky Point, Mexico. Another sold out event that shows there are no shortage to supporters in Rocky Point. They have played in 27 Concerts in Rocky Point since 2000. The Dirty Beach Mud Run is happening on October 27 at the Thunder on the Beach racetrack on Sandy Beach and we will be racing with you. Come join the challenge and the fun. The Rocky Point Bike Rally this year promises to have thousands of Bikers and with the Penasco del Sol hotel providing live entertainment Friday and Saturday from 16h00 it will be an event to remember. Yes, the Boomer Fest is going to be held in Rocky Point, Mexico. This event is going to be one of the biggest music festivals ever to be held for the Baby Boomers in the world. The marketing and planning is nothing short of spectacular and will put Rocky Point on the map and on the lips of more than 100,000,000 households according to the PBS network in the US. Boomer Fest Days will transform the seaside resort city of Rocky Point, Mexico. “There has never been a production of this magnitude created especially for Baby Boomers,” said Henry Altman, Managing Partner for the event. On May 1 to 5, 2013 a five-day Star studded schedule of events including 24 top music superstars and comedians from the 60s, 70s and 80s will descend on the city of Rocky Point, Mexico. The festival will include numerous popular boomer activities and entertainment such as wine tastings, vintage car shows, and many more. This event is set to become the premier boomer event heard off around the world. In the region of 70,000 people will be attending the event and approximately 20 passenger planes will be landing at the airport daily during the start and finish of the event. Several major preliminary events, including a Celebrity/Sponsor Golf Tournament to be held April 29th and 30th, and a Sport Fishing Tournament slated for May 1st will get the momentum started. In addition, Altman is bringing together a world-class production team of highly skilled professionals that produce some of the world’s most acclaimed festivals. “Boomer Fest Days should become an annual Mecca for Baby Boomers looking to recapture the spirit of their youth that carried them forward for the last four decades,” Altman said. Rocky Point, Mexico is truly blessed with the opportunity of a lifetime to host this great and historic event. The tourism section of the city of Puerto Peñasco is in the process of securing direct flights between Las Vegas, Puerto Peñasco and Hermosillo. These discussions have been in progress for quite some time and are in the process of being finalized. The first flights are scheduled for February 7, 2013 and will continue for the next six months. The city has secured these flights without any ticket sales and even if the flights are empty they will still be flying twice a week on schedule. The income from the ticket sales will go to extend the service and as the flights become financially viable the schedules will be extended to Tijuana and Juarez. The cost for this initial flight schedule has been set at $ 700,000 USD and has to be paid by the Tourism board of Rocky Point (OCV). They have received $ 400,000 from the federal government and other official sources and the rest will be paid by private companies in Rocky Point. Castaways vacation rentals have made a donation of $40,000 and with the promises made by other local businesses, the city will be able to raise the full amount by the deadline. The Real Estate market housing segment has shown an increase for 12 consecutive months in existing home sales. There has been a 7% increase in recreation home sales from 2010 to 2011 in the USA. From May 2011 to May 2012 total existing home sales increased by 9.6%. The sales of existing homes in the USA were at the highest since 2007. Housing is expected to add to the gross domestic product in the USA for the first time in 7 years. New housing starts have risen 2.3% in August and single family construction reached the highest level in more than two years. CNN Money reported that home prices have reached index levels not seen in nine years. The Wall street Journal said that the year to date gains in home prices have climbed 5.9% through July and has been the strongest since 2005. Now is a good time to Buy or Sell Real Estate in Rocky Point, contact us to assist you in finding the perfect vacation property. The active listings have been decreasing steadily and has declined by 11.1% from the previous year according to the MLS statistics.New listings have shown a decrease of 13.2% for the same period. Properties sold have increased by a whopping 22.8% for the year to date and there is a 44.3% increase in Pending sales. The market is changing from a buyers market to a sellers market and we have seen many offers being rejected by sellers willing to wait for better offers and the prospect of raising prices. We have personally submitted five offers within the last ten days for various buyers. If you have a condo that you would like to sell, contact us today! Late Summer in Rocky Point is always hot, but contrary to belief the town is still full of tourists and planning for the Fall season has begun. There are various activities planned for this fall and I personally think this is the best time to be down here in Rocky Point. Labor day weekend is around the corner and we will be hosting an open house in Las Conchas Section 8 Lot 1 Casa Playa on Saturday 15 and Sunday 16 September 2012. Visit us at this spectacular beach home! Please look at the Real Estate Market summary in the newsletter for the latest in the Rocky Point Market trends. Contact us for all your Rocky Point Real Estate investments and let us assist you to own your vacation dream. It is my opinion that I should not have to be writing anything about safety in Rocky Point, Mexico, but as the news media continues to use every opportunity to create an image that Rocky Point is unsafe and a haven for gun battles and everything bad, I have to provide my unbiased view. I have been living in Rocky Point full time for several years now and I still consider it the safest place I have ever lived in. Both the mayors of Phoenix AZ and Tucson AZ agreed that the state of Sonora and by implication Rocky Point is the safest in the whole of Mexico. Greg Stanton, Mayor of Phoenix AZ said that Sonora may have security issues, the same as what they have in the US, but he knows that Sonora is probably the safest state in Mexico. 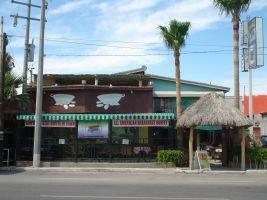 He added that he has no problem recommending a to visit Rocky Point. Jonathan Rothschild, Mayor of Tucson AZ, said he has no problem recommending citizens to visit Rocky Point, Mexico. He said "I've talked to many people, of all types, and they all say they feel very safe, in fact safer than they have been in years.” He definitely recommended that people of Arizona visit Rocky Point and see for themselves what is going on. 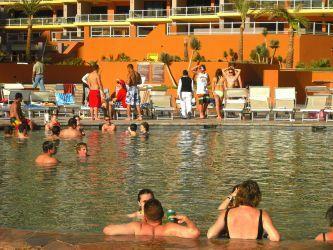 Rocky Point, Mexico has again proven that it is a preferred tourist destination on the Sea of Cortez. The City of Rocky point was visited by tourists from Northwest Mexico, the United States and even groups from as far away as China. Tourism has again increased from last summer with an astounding 17%. 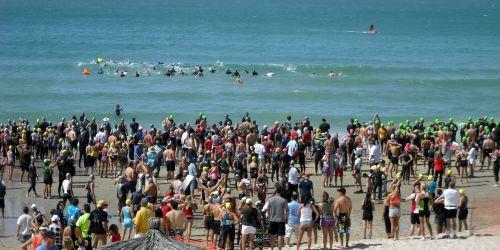 Rocky Point was visited by an average of 60,000 people per week for this summer season. Reservations ranged on average from 72% to 95% occupancy during this time. (The higher averages being during weekends). Several weekends were fully booked by reservation companies, which only left expensive beach homes available. 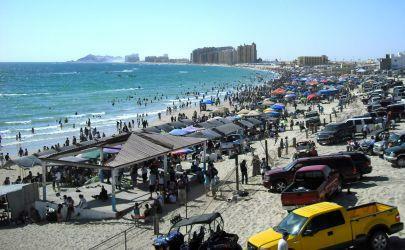 In the six weeks from July to middle August more than 400,000 people visited the city of Rocky Point, Mexico. The flow was constant and all businesses in Rocky Point have indicated that they had reason to employ more people. This is good news for the community and the unemployment figures have decreased dramatically according to the OCV (Convention and Visitors Bureau) President, Héctor Vázquez del Mercado. Rocky Point is continuously being upgraded and the federal government as well as other private entities are spending vast sums of money to better the City and improve Tourism. 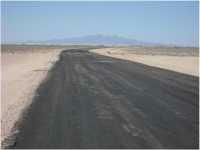 A total of 142,666 m2 roads will be paved in the near future and work has already commenced on this endeavor. The streets identified for this project are: Cholla Boulevard, Boulevard Samuel Ocaña, East Ave, Marcelo Pino Avenue, Calle 9, Luis Encinas and St. Louis Avenue. 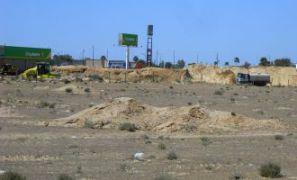 It is the intent of the government to reduce the dust and dirt roads in Rocky Point and make this a prime tourist destination. Every effort will be made to complete this work by the end of 2012. 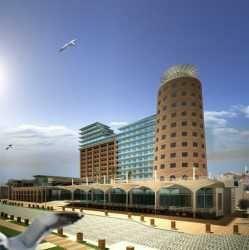 Phase one of the Convention Center on Sandy beach will be completed in October 2012 and the second phase will commence immediately. The first conventions and seminars will only be held early next year and several requests have already been received. The Real Estate market in the US is changing. Super-low prices and a considerable supply of condos and homes on the market is a sure sign that there is no better time to buy a home. The prices have bounced on the bottom, and as the confidence in the market returns the pricing are starting to head upwards and many sellers are taking their properties off the market to wait for better prices. Forbes has reported that the Real Estate market reports show home values increased by 2.1 % from the first to the second quarter. Annually the prices rose by 0.2%. CNN Money concurred and added that this was the first time in 5 years that the home prices have increased. Bloomberg reported a strong recovery in the starting of new homes and Goldman Sachs Group Inc. said this may drive a surge in new home sales. Besides this being an amazing time to buy a home, it is an equally favorable time to buy an investment property. There is massive profit to be made in real estate, though not simply by quickly flipping properties, as was the mistake of many investors who could not get out of their properties in time when the real estate market crashed. Purchase an investment property at these super low prices and think long-term by focusing on how much income you can generate each month. With the tourism returning the vacation rental opportunities are getting better and if well managed will sustain your investment while it is gaining in value and the markets stabilize. 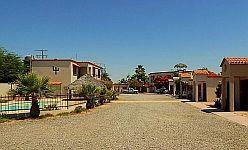 The market in Rocky Point is busy turning from a buyers’ market into a sellers’ market. More second/backup offers are received on properties and the inventory is shrinking.The inventory percentage based on July 2011 and July 2012 absorption rate is down 10.11% to 41.35 Months. This is the lowest it has been in the last year. Real Estate Sold year over year has increased by 9.9% and Pending sales are up 42.3% compared to the same month last year. New Real Estate listings are down 16.5% from 37 properties listed in July 2011 to only 28 listed in July 2012. Owners are taking their real estate off the market to wait for higher prices as they reason the prices will soon return to normal market prices. Year over year the total Real Estate listings fell by 12% from 961 in 2011 to 846 in 2012. We have noticed several investors showing an interest in purchase five or more condos. They have started looking at the market in Rocky Point and have all indicated that they intend to purchase in the neer future. The city of Puerto Peñasco, Mexico is again showing the non believers that they are out of touch with reality. I have seen so many expansions, construction projects and general growth that I have no choice but to believe that we are at the beginning of a historic time for this City. I have mentioned some of the most recent project that are nearing completion and would try to update you as we go along. I feel I have to advise you that this is a great time to invest in Rocky Point and that should you delay and procrastinate then you will only have yourself to blame. The Prices are creeping up and the inventory of available Real Estate is shrinking. Urgently looking for Long Term rental properties and Condo's to list for sale. We are experienced high demand and there are limited supply of well priced properties available. Please contact me directly or send me an email! or call me at US (+1) 623 255 7454 or MX cell (+521) 638 386 9595. The cinema of the new Porto Mio shopping mall is in the process of opening. They are currently interviewing prospective employees and the plan is to open all six Cinemas on the 15th of April 2012. These cinemas can seat 600 people and will employ 30 employees. The Mall has an initial capacity of parking for 480 cars that can be extended to 520 if the demand increases. The cinemas will be a welcome addition to the entertainment offered in the City of Puerto Peñasco, Mexico. The Porto Mio Shopping Mall will be completed in stages and will boast a Hotel, Casino and Office tower when completed. This is one of the first upgrades of the Port area to be completed. The Mouth of the Port is currently being expanded and many upgrades are being planned for this area. 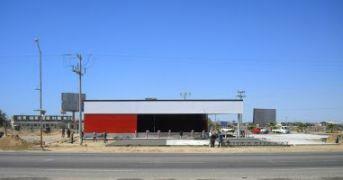 AutoZone the Auto Parts and Accessories franchise is opening in Puerto Peñasco, Mexico. The AutoZone franchise group has selected to open a new store in Rocky Point / Puerto Peñasco, Mexico. This is another franchise that has moved here from the United States and they are currently doing interviews with potential employees. The arrival of an Auto Parts/Spares franchise of this magnitude is encouraging and with the expansions in Puerto Peñasco could not happen on a better time. 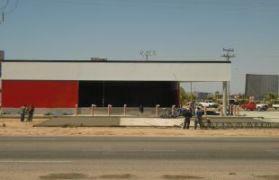 They have built a new store at the entrance to Puerto Peñasco and are in the finishing stages of the construction. Commercial property is still affordable and available. 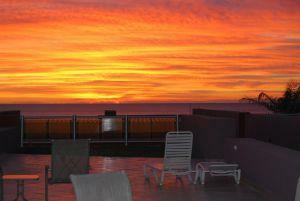 The demand has shown an increase and the current abundance are sure to end as more and more investors come to Puerto Peñasco. or call me at US(+1) 623 255 7454 or MX cell(+521) 638 386 9595. 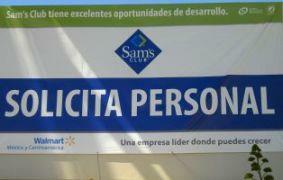 Sam's Club has broken ground and are in the process of interviewing potential employees. They will be employing 120 people in the store. This is a huge indication of what is happening in Rocky Point. Our little City is now fast becoming a home port for cruise liners and this will lead to a boom in tourism as well as infrastructure. Sam's Club will probably be one of the suppliers for the cruises and the retail outlets required to service this industry. Puerto Peñasco or Rocky Point, Mexico as it is commonly known is at the verge of a great economic boom that will cause Real Estate prices to rise and tourism to increase. The small fishing village is now becoming a Vacation City and those with experience in Real Estate all agree that investments should be made now rather than later when the prices will be higher and the demand greater. The buyer’s market that we are in now will change into a seller’s market and the availability of property will decrease drastically. GIUSEPPI'S ESPRESSO has opened a new satellite branch in the Sonoran Spa and have the only soup and salad bar in the city. The food is delicious and based on real American style buffets and to top it all it is ALL YOU CAN EAT! The satellite coffee shop offers breakfast burritos and home made muffins. Those of our clients that have visited this restaurant have all agreed that they have great food and some say they have the best coffee in town. I have negotiated and received vouchers for you for a discount of 20% on the Soup and Salad bar. Stop in at our offices at Long Realty in front of the Penasco Del Sol Hotel on Calle 13 and we will gladly provide you with one. 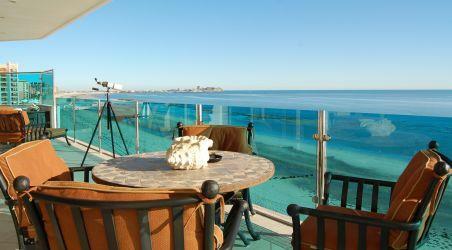 Here you can sit on your wrap around patio while looking at the ocean and the pools of Las Palomas. The city lights sparkle in the distance and the final hole of the golf course in at your feet. This outstanding 3 bedroom 3 bathroom condo has two master bedrooms and one is designed as a lock off for independent use and separate access. Click on the pictures or heading to view this wonderful opportunity. This spacious 1 bedroom condo, located in Phase 2 of Las Palomas, is just right for a single professional or retired couple who want to live the beach resort lifestyle. The furniture is modern and so are the amenities. 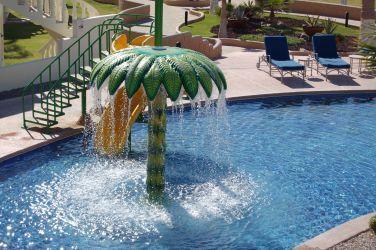 The resort has lots of swimming pools, hot tubs, a lazy river, onsite restaurant and, beautiful Sandy Beach. There are even a fitness center and snack shop too. 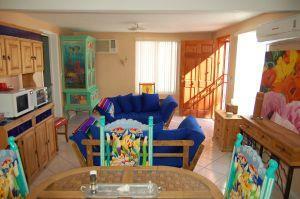 This condo is larger than the average 1BR on Sandy Beach and, has lots of storage space. Enjoy the wonderful weather that Rocky Point has to offer. When you're ready for a good night's sleep, climb into the comfy king-sized bed and and start counting the sheep. At this price, this is a great value that won't last long. Only $109,000 USD. This resort is now selling out all the condos that have been taken back from the non paying clients and some owners who have been waiting for the market to turn are now selling their condos at rock bottom prices. Being closer to the new port development, this resort will be sought after as soon as the ground breaking ceremony is held for the Cruise liner home port. Contact me for more information. One of the most amazing developments on Sandy Beach. The penthouse is beautiful and very well furnished with pieces from around the world. 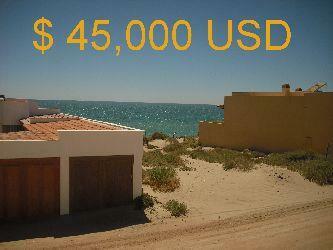 If you want to own something really spectacular on Sandy Beach on Puerto Peñasco, Mexico contact me now. Thank you for taking the time to read my newsletter. I am looking forward to hearing from you and hope we will meet in Rocky Point/ Puerto Peñasco, Mexico soon. Until we meet again ADIOS. O Yes: Should you know of anybody (Friends, Family or Strangers) that need Real Estate in Rocky Point, Mexico, please refer them to me and do not hesitate to forward my newsletter to all your friends. Have a Festive St Patrick's Month! Puerto Penasco is slowly awakening out of the slumber it has been lulled into by the Financial crises, Bird flu, US passport regulations, Bad Press (Mostly fabricated lies) and fear mongering stories of crime. We are seeing old faces of owners who have not been here for the last four years and they are wondering why they did not come to Rocky Point. They all had such great times and vow to return again as soon as possible with their whole families. Yes they found out it is safe and still great fun. The expansions are happening so quickly that some do not recognise the little city they once knew. The roads are paved and there are new stores where empty lots used to be. Construction is happening everywhere and people are optimistic about the future. The government is funding the tourism industry and finally want to grow Puerto Penasco into the tourist destination it should be. Urgently looking for Long Term rental properties and Condo's to sell. We are experienced high demand and there are limited supply of well priced properties available. I have been informing you of all the upgrades and expansions that was happening in the city. The fact that Jan Brewer and our local governer Guillermo Padres Elias both attended the Sonora Arizona Commision meeting held in Puerto Peñasco is an indication of how serious they are to develop this area. The cruise liner port has been speculated on for a few years and now it is finally becoming a reality. The surveys are complete and the money has been released for the first stage of this project. The Governor of Sonora has again confirmed that this project has been approved by the federal government and that the funding has been released to commence with the project. He confirmed this at the official groundbreaking ceremony held the the new Convention center site. The creation of a home port in Puerto Penasco is very significant as this will cause an influx of tourists to the city and the infrastructure required to maintain cruise liners and expanded tourism will create jobs and prosperity to the local businessmen. The shortage of Hotels are being addressed and various large hotel groups such as Holiday Inn and Marriot have already bought property in Puerto Penasco. Wal-mart has indicated that they will be commencing with the building of the proposed Sams Club soon. Autozone is planning their new outlet in Puerto Penasco and has almost conpleted the construction of the new Retail Outlet. Most of the projects that have previously been stopped on Sandy Beach due to a lack of funding have been revived by the Federal government and loans were secured to clean up Sandy Beach. The roads are being paved in the tourist areas and the old port project is nearing completion. At this rate it should be completed before the spring breakers arrive. The harbor mouth is being made deaper and rumor has it that they are going to expand the harbor to include more slips for the international yacht owners. Even the shopping mall Porto Mio has received a shipment of new building material and will commence with construction and completion of the first phase. The convention Center has started and the first walls are appearing behind the golf course of Las Palomas on the old Cholla Bay Road. Investors this is the time to start thinking of hotels in Puerto Penasco as the convention center will have 3500 seats and there are less than 1000 hotel beds in the City. Call me and let me assist you in finding the perfect property! Mexico we have seen a lot of new development in the area and tourism is at the forefront of revenue generation for the next 5 years and possible beyond that. US Newswire released in an article that approximately 10.4 million tourists were expected to visit Mexico in the last two weeks of 2011. This is a 4 percent increase from the same period last year. 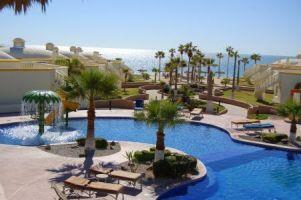 In Puerto Peñasco we are seeing an increase in vacation and long term rental bookings. South West Airlines Co. subsidery Airtran has received US approval for flights between Orange County CA and Mexico City and Cabo San Lucas. These flights will include stopovers in San Francisco and Las Vegas.They are busy with negotiations for flights from San Antonio TX and Cancun. 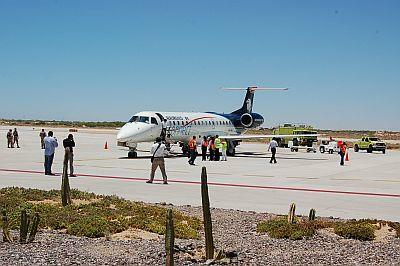 The federal government has reported that negotiations have begun to include Puerto Peñasco in daily flights to and from the US. The international airport is currently open to all private aircraft. Aero Mexico Grupo Aeromexico transported 1,234 000 passengers in November 2011. This is the highest number of passengers for any November in the Company’s history. The demand for flights has grown 8% year over year. The federal government have indicated that they are in negotiation with several airlines to provide daily flights between the US, Canada and Mexico. One of the planned routes are said to include places like Puerto Peñasco, Phoenix, Tucson, Las Vegas, Los Angeles and San Diego. There has never been a better time to invest in Real Estate in Rocky Point, Mexico. GIUSEPPI'S ESPRESSO has opened a new satelite branch in the Sonoran Spa and have the only soup and salad bar in the city. 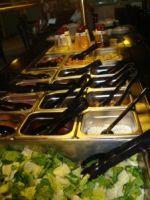 The food is delicious and based on real American style buffets and to top it all it is ALL YOU CAN EAT! 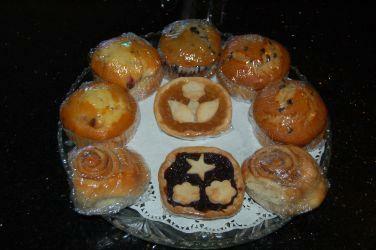 The satelite coffee shop offers breakfast burritos and home made muffins. 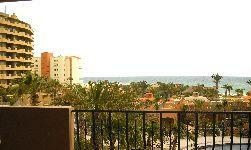 This 2 bedroom 2 bathroom condo has endless unobstructed ocean views. Both bedrooms are located in the front and have sliding doors that open onto the patio. The master bedroom has a large bath, perfect for a relaxing bubble bath. The condo is furnished and comes with all appliances. The resort has a Restaurant with an award winning chef and boasts amenities such as kid’s water slide, swim up bar, palapas and picnic tables on the beach, fitness facility, spa, sauna, business center and more. 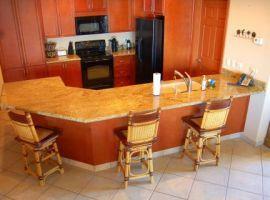 Contact us to visit this spectacular family resort and own this condo for ONLY $164,500 USD. A spectacular condo on the beach with sunset views. The interior is furnished beautifully and with artistic flair. Both the bedrooms are ocean facing and walk out onto the patio. 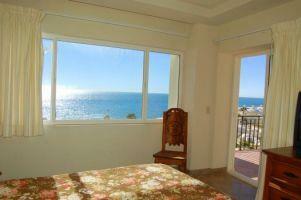 This condo has outstanding views of the ocean, beach and pool area of Las Palomas phase one. Situated on the 3rd floor of the Diamante building. The beach is steps away and with a bonus large owner’s lockup storage room. All bedrooms are fitted with TV’s and cable. Wireless internet and amenities such as a lazy river, kids club, restaurants, pool bars, Jacuzzi’s, hammocks, Palapas, mini market, conference center and golf course create the perfect place for a fun filled vacation. There is nothing to compare to this condo. For a stylist and elegant condo on the beach you won’t get better. Come see for yourself! Step out to the pool or have a BBQ directly from your patio and have safe parking right at the front door. No steps to climb and easy access for wheelchairs. Easy access to the beach and the Palapa waiting for you at sunset. This large 2BR/2BA condo is perfect for entertaining and the guests can watch the kids play at the pool. The condo features large comfortable bedrooms and great amenities. Upgraded finishing’s and 1600 Square Foot living area make this a very sough after property. Manicured grounds with large pools and great amenities such as the Med restaurant, Pool Bar, Pools, Jacuzzi’s, Games room, Wireless internet, Spa, Fitness Facility, Beach Palapas and BBQ Area’s make for a relaxing vacation. Spectacular panoramic view this large 3 bedroom 3 bathroom condo has Stone crown molding in all rooms with ceiling pocket lighting. Luxurious Travertine and Granite from floor to ceiling.Walk through the custom alder wood arched doorways into your Huge Master Suite with Domed brick ceiling and a private exit to patio for those romantic evenings.Pass under the stoned archway into the living room where you will have a Breathtaking views of the sea. Gated 24 hour security. Has a trust. Send me an email and let’s get you in this condo! For more information Call Corne NOW at 638 386 9595. At Expert Realty we have had an increase in demand for long term rentals and a lot of them came from people wanting to retire in Puerto Peñasco. More than 10,000 Baby Boomers are retiring every single day and will be for the years to come. They will be receiving an average of about $1,177 per month. Most of them have not saved up nearly enough and are looking to retire in places that promise an affordable, safe and relaxed living experience. If this can be at the ocean and only an hour’s drive from the US border then it is perfect. The lack of snow and moderate temperature in winter makes it a great venue to live on a budget. Tacos cost from $ 0.80 cent each and fresh seafood and produce are abundant at give away prices. Great hospitals and health care facilities are available at a fraction of the cost incurred in the US for similar procedures. 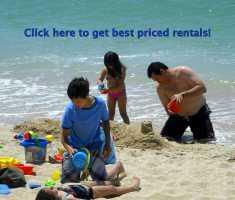 We have rentals available from as low as $200.00 USD per month. Contact us for more details and assistance in finding the perfect rental. US Newswire released in an article that approximately 10.4 million tourists were expected to visit Mexico in the last two weeks of 2011. This is a 4 percent increase from the same period last year. In Puerto Peñasco, Mexico we have seen a lot of new development in the area and tourism is at the forefront of revenue generation for the next 5 years and possible beyond that. 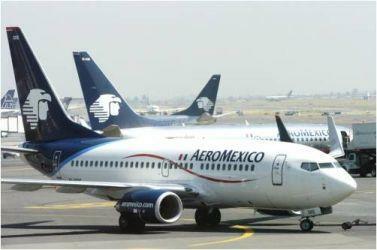 Grupo Aeromexico transported 1,234 000 passengers in November 2011. This is the highest number of passengers for any November in the Company’s history. The demand for flights has grown 8% year over year. The Major Zepeda Munro have gone the extra mile in securing funds for the city and ensuring improvement in areas such as the Old Port (Malecon), City parks, New Baseball stadium, New docks for small craft fishermen, paving of streets and boulevards are progressing well. He initiated the purchase and installation of an upgraded sewer system, beach cleaning equipment and the building of a modern high-tech sanitary land fill. The city of Puerto Peñasco had 4 police cars when the mayor came into office and has since increased to 40 cars and a fleet of motorcycles. Officers have been issued with new uniforms and equipment. This a preemptive measure to accommodate the increase in tourism. 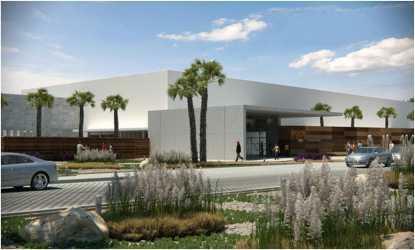 The mayor has secured $160,000 000 MXN for the building of a 3000 seat convention center. The location has been changed to the Sandy Beach area and will establish Puerto Peñasco as the Expo Center for Northwestern Mexico. 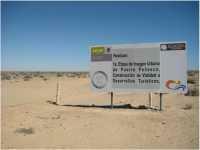 The location will be better suited as it allows easy access to the new Coastal highway to Mexicali and California. One of those wonderful condo's that comes along ever so often. Unobstructed views with both bedrooms facing the ocean. The bedrooms and the living area have sliding doors directly to the patio. Both bedrooms have their own bathrooms with granite finishings. The kitchen is out of direct sun and fitted with granite counters. 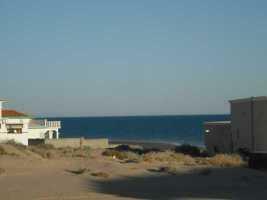 Las Palmas is situated on the most sought after pristine beach in Rocky Point. The lowest HOA fees on Sandy Beach and a brand new restaurant The Med. Call be or send me an email to arrange a viewing of this property. Every now and then we visit a condo and are amazed with the detail and taste with which the condo is furnished. 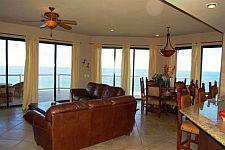 This condo is one of those and has wonderful views of the ocean, beach and pools. Add to that a competitive price and the most sough after resort on Sandy Beach and you have the perfect investment. With both bedrooms facing the ocean and two full bathrooms it offers extreme luxury. Las Palomas is the resort with the most amenities such as the lazy rivers, warm pools, jacuzzi's, gas BBQ areas, kids club, fitness center, wireless internet and many more. 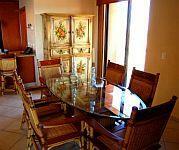 In this condo you have the perfect recipe for a spectacular vacation. Own this condo now before someone else grabs it. Call me now or email me. (Click on the picture to view the condo in detail) or View the Virtual tour here. Reduced for a quick sale. Walk out directly to the pool or sit in the living area and watch the kids having fun outside.This two bedroom two bath ground floor condo is a fantastic opportunity. It is a fully furnished end unit. This condo is in a resort on Sandy Beach and you can sit under the palapa on the beach and watch the sunset while sipping a margarita. Experience the new MED cuisine or sip cocktails at the swim up bar. Best of all is the lowest HOA payments on Sandy Beach. This condo is priced to sell at only $ 134,900 USD. Give me a call on (+521) 638 386 9595 to own this investment. From this unit, you will step out to the pool and have safe parking right at the front door. No steps to climb and easy access for wheelchairs. This large 2BR/2BA condo features a very large kitchen (perfect for entertaining should you choose to do so), large comfortable bedrooms and great amenities. 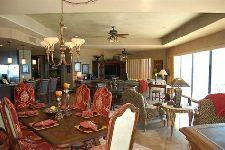 This used to be the display condo for the resort and is larger than other condo’s with upgraded finishing’s. The grounds are very well manicured with large pools and the resort offers amenities such as the Med restaurant, Pool Bar, Pools, Jacuzzi’s, Games room, Wireless internet, Spa, Fitness Facility, Beach Palapas and BBQ Area’s. 12 month rate $800, 6 month $900, 3 month $1,100, plus 2% lodging tax & $100 cleaning fee. Send me an email and let’s get you in this condo! For more information Call Corne NOW at 638 386 9595. HAS THE HOUSING MARKET HIT BOTTOM AT LAST? To some this headline might not mean much, but to the Mexicanized internationals that have tasted filled Jalapeño with shrimp and cheese this is great news. More than a bit cheesy and altogether delightful news, the addition of more cheese to any dish is an improvement in my book. Scientists at the New Mexico State University claimed that they have successfully bred a new medium spicy, extra large Jalapeño, specially optimized for an increased cheese payload. The jumbo chili emerged from hybridization between a bell pepper and a regular sized Jalapeño. It was specifically designed for the people in the know who demanded even larger, cheesier and meatier Jalapeño poppers. 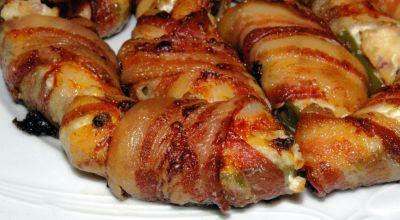 (A popular stuffed, breaded and deep-fried appetizer or bar snack). The Puerto Peñasco version is Jalapeño stuffed with cheese and shrimp, then wrapped in smoked bacon and deep fried to golden deliciousness. The average prices in the housing market have stopped declining and there are even some signs of life in the existing home market according to Martin Hutchinson, Global Investing Strategist, Money Morning. 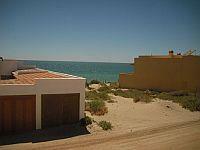 In Puerto Peñasco, Mexico we have noticed a drop in housing inventory. The lower priced bargains are becoming scarcer. A year ago we could provide the prospective buyer with a selection of at least 6 one bedroom condo’s under $ 100,000 USD in a particular resort. The same resort now has only 3 condos for less than $ 100,000 USD and the lowest price is $ 95,000 USD as opposed to $ 65,000 USD a year ago. Although sales have been slow, there have constantly been sales for each week in the year and I have seen one week boasting nine sales. This year we have seen sellout weekends on vacation rentals for the first time since 2008 and a general demand for more long term rentals than in the past. 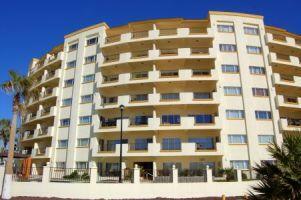 In a nutshell the time to own your vacation home or condo in Puerto Peñasco is NOW! Don’t delay or you will miss the amazing opportunities that are on the market now. We have several properties with owner and development financing available. Contact me for details at wesellrockypoint@gmail.com. Expert REALTY Rocky Point now offers a full range of services to meet demand; this includes sales, rentals (vacation and long term rentals), property management, bill paying, cleaning and maintenance. The housing market decline has left approximately 6 million families without a home of their own. They moved in with family and friends, while others rented apartments or low cost housing. These families have now started to pull the wagon through the drift and they are slowly submerging from the debt crises they experienced. A study in the United States has shown that 81 percent of all defaulters have been able to rent again even though their credit scores have not been as high as the landlords would have preferred. 8 Percent of these defaulters have been successful in buying Real Estate. The one factor to consider is that most of the ex homeowners want to own property again in the near future. The renters claim that they are saving approximately 30 percent while renting and will shortly be in a position to buy. 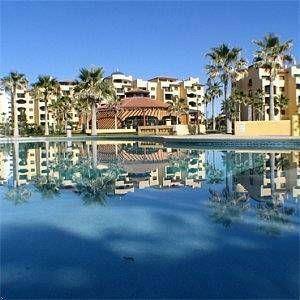 The savings and low house prices are encouraging people to invest in their future and with the demand increasing for vacation rentals in Puerto Peñasco, Mexico, this is an obvious choice to make great investments and get future rental income from the condo you own on the beach. One investor actually claimed to have made a net profit of $20,000 USD for the past year. We have owner and developer financing available for several condos on the beach. 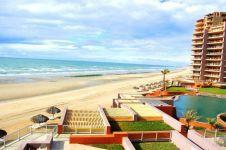 Act now and let me assist you in owning your investment property on the beach in Puerto Peñasco. Own this cozy house in Simon Morua, Puerto Penasco, Mexico and be part of the select few who know the secrets of longevity. This house is waiting for you to make it your home. 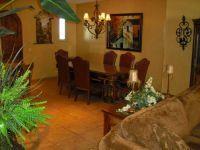 The house is beautifully furnished, walled and gated. Your palm trees are ready for the hammock and cold drinks. There is ample room for expansion. This two bedroom 2 bathroom house comes with its own citrus tree, bougainvilleas and palm trees. The outside BBQ is ready for the charcoal and steaks. Own this gem for only $ 69,000 USD or make an offer. This is a one bedroom, one bathroom condo with spectacular views of the sea of Cortez in the popular Las Palomas Resort Phase II. The individual with modern taste or the professional that wants to own a luxury condo on the most beautiful beach in Puerto Penasco, Mexico. This resort offers great amenities such as a signature golf course, Kids club, restaurants, Health spa, Pool bars, Hammocks, Lazy River and many more. Contact me and let me arrange for you to view this opportunity. 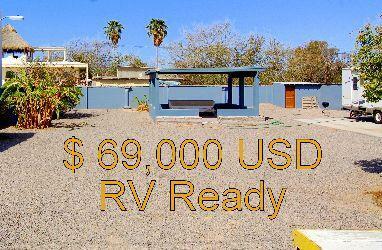 At this price $109,000 USD it will not be on the market long. This two bedroom two bath ground floor condo is a fantastic opportunity. It is a fully furnished end unit. The condo is perfect for a family. You walk out directly to the pool and the condo is a stones throw from the beach. The amenities of this resort includes a restaurant with an Iron Chef award winner and the lowest HOA payments on Sandy Beach. This condo is priced to sell at only $ 154,900 USD. Give me a call on (+521) 638 386 9595 and I will show you the condo. 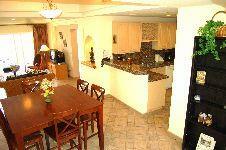 A three bedroom two bath two story penthouse in this quite and family orientated resort. This condo has been recently upgraded and is the only penthouse in this resort with a large extended patio. 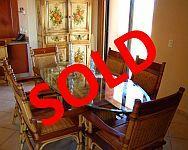 Both AC units has been replaced and overall this condo is a great unit to own. 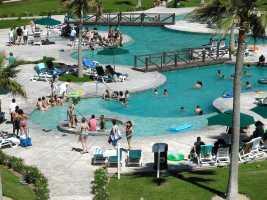 This resort is situated on the beach with a large common area and palapas for your enjoyment. The pools are sparkling and amenities include a restaurant, fitness facility and 24 hour security. 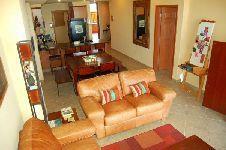 At only $ 155,000 USD this furnished condo is a steal and will sell to the first offer. Send me an email and lets get you in this condo! For more information Call Corne NOW at 638 386 9595. Thank you for taking the time to read my newsletter. I am looking forward to hearing from you and hope we will meet in Rocky Point/ Puerto Penasco, Mexico soon. 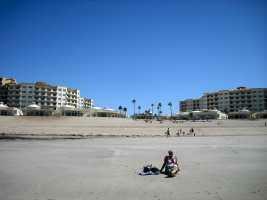 There is a distinct upswing in the tourism we are experiencing in Puerto Penasco, Mexico. You might have heard that Memorial Day weekend was fully booked for the first time since 2008. This appears to be the trend for most of the weekends in June 2011. The Mexican Government is on track to triple the tourism revenue by 2018. Bloomberg reported a projected increase of tourists to 50 million and an income of $40 Billion per year in the next 8 years. They are projecting an increase of 15% in tourism for this year. The violence in Mexico has been confined to 80 of the country’s 2500 municipalities, many of them along the US Mexico border. Puerto Penasco is not one of them. There were no incidents involving international tourists during the spring break season. Rocky Point has again succeeded in hosting the Miss Sonora Beauty pageant and it was a spectacular Gala Event. The event was viewed by 20 Million people on national television as it was broadcasted live throughout Mexico. You have to remember that we have the most beautiful girl in the world in Mexico. More and more people without health care are coming to Mexico for all their medical needs. They are finding the standard of service excellent and at a fraction of the price. Dr. Robert H. Page of Tempe did research and found that a specific type of surgery done in the United States after negotiating discounts came to $13,000USD. The same surgery was done in Mexico and the patient spent two days in hospital (Not included in the US quote). The total costs for everything was a mere $1,250USD. Medical services such as Optical, Dental, Prescriptions and others can be as low as one tenth of those in the US. As you all know Puerto Penasco has a new Hospital on Sandy Beach and everybody that I have spoken to has only praised the Doctors and the facilities. Since May 24, 2011 a new immigration law has been in effect and was signed into law by the President Felipe Calderon. Visitor- This category will include tourists and is valid for 180 days. Temporary resident– This is similar to the previous FM3 and lasts for 4 years. Permanent Resident- Allows for work and permanent stay and is valid for an unlimited time. This can be obtained after only 4 years of being a temporary resident. Call me for more information and we will assist you in getting the necessary documentation and finding the perfect Rental, Home or Condo for you. Prime location next to the new Black Dog Casino! Open this restaurant for dinner and you will have a great investment while staying in the spacious one bedroom apartment above the business with its own patio and BBQ area. 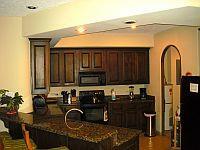 The kitchen is equipped with high end appliances and fully stocked. A covered enclosed courtyard makes for a tranquil and relaxed dining experience. Included are workshops and retail office space that can provide additional income to the owner. Make an offer on this property now or cry later. 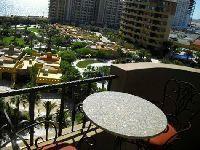 Only $89,000USD for this one bedroom, one bathroom condo with spectacular views of the Sea of Cortez. Direct access to the patio from your bedroom and a beautiful common area. 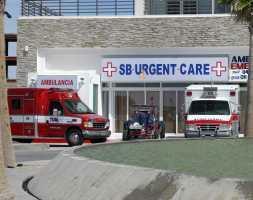 The condo is close to the new state of the art medical centre. The resort offers an award winning chef at the restaurant, Jacuzzi’s, Pools, Deckchairs, Umbrellas, 24 hour security and best of all it is on the best beach in Rocky Point, Mexico. 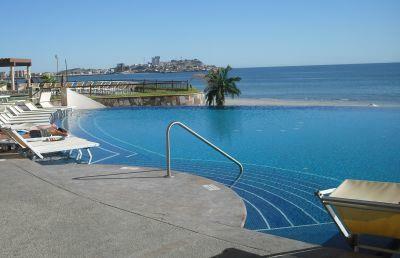 Come and enjoy the safety and peace we have in Puerto Penasco. Call me! A beautiful corner lot in a built up gated community with 24 hour security and great ocean views waiting to be owned by you. This is a highly sought after area with a pristine beach and listed at only $39,500USD. Sorry this opportunity has been taken by someone else. Corne and Michiel, Realtors in Rocky Point, Mexico have brought their knowledge, expertise and friendship to our Team. Our goal is to advance our Real Estate business by the following; develop and organize our systems to improve our effectiveness, serve our clients by communicating in a timely manner with compassion and competence, work together to enhance our productivity, thereby producing top-quality results. You are in great hands with Corne and Michiel. Michiel has designed Corne’s website www.wesellrockypoint.com, the site is educating and user friendly. He also assists Corne with her bimonthly newsletters. Corne is always available to assist our clients whether they are selling or purchasing property in Rocky Point. She offers competent, honest and passionate service, offering and working with Integrity. Corne and I look forward to the opportunity of working for you, offering you the absolute best service. Thank you for taking the time to read my newsletter. I am looking forward to hearing from you and hope we will meet in Rocky Point soon. Until we meet again HASTA LUEGO. O Yes: Should you know of anybody (Friends, Family or Strangers) that are interested in Real Estate in Rocky Point, Mexico, please refer them to me and do not hesitate to forward my newsletter to all your friends. 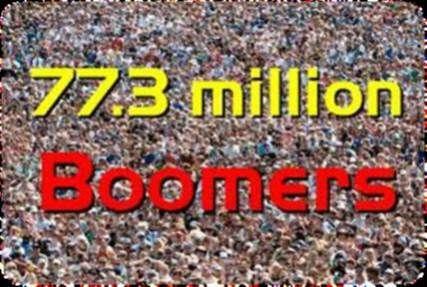 · The US census estimates that 5 Million US citizens will be retiring in Mexico by 2025. · The southern entrance of the city from Caborca is going to be upgraded and new access roads are being planned to the old airport. · A new convention centre has been approved and will be erected at the Old Airport site. Cost 60 million pesos. 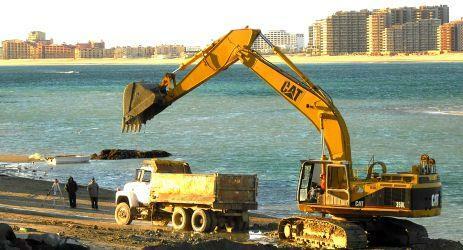 · Surveys and studies have commenced for the construction of a Home Port. 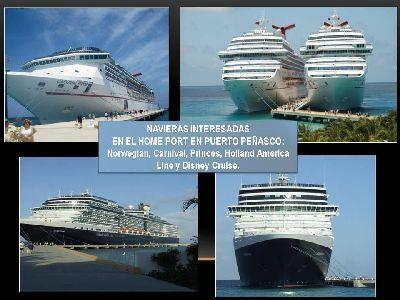 This will enable cruise ships to offload their passengers in Puerto Penasco. The money needed has been secured via private donors. · The Malecon (Old Port) has been remodeled at a cost of $61,136,730 pesos and the upgrading of 13th Avenue (Calle 13) has been approved. 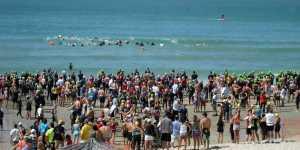 · An unprecedented number of visitors (100 000) arrived in Puerto Penasco for Semana Santa. This was an increase of 120% from last year’s figures. The income: 44 million pesos. · A new federal fishing office has been constructed and completed. Cost 1.5 million pesos. · The construction of a new boat landing and modernization of the docks are being planned. This would include a boardwalk at the Porto Mio shopping mall. 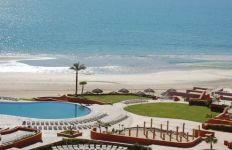 · Puerto Penasco will host the Miss Sonora beauty pageant for the second year running. This creates national exposure through the televised gala event. · Wal-mart has indicated that they are planning to develop a SAMS Club next the current structure and include two restaurants. One of them will be the popular Mexican coffee franchise VIPS and the other is still a secret. These are but a few pieces of the puzzle. We can only conclude that there is something big coming in Puerto Penasco. The new convention center in Puerto Penasco has been approved and state and local authorities are working hand in hand to make this reality happen as soon as possible. They are planning on starting with construction within 60 days. Puerto Penasco has identified a need for convention facilities and realized it would lead to an increase in local and international tourism. This facility will be built at the site of the old airport in town and all roads will be upgraded to allow easy access to the facility. Completing the first phase of the connecting road between the new coastal highway and Sandy Beach has been a dream for a long time. It has now been completed and the final phase is set to commence, which will link the Circle K on Sandy Beach with the new coastal highway from Mexicali. This will offer investment opportunities in the Black Mountain area that have previously been ignored. An absolute gem! 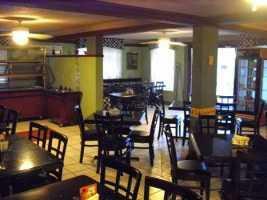 This is a Commercial Property with an operational Restaurant/Coffee shop in a prime location. The kitchen is equipped with high end appliances and fully stocked. A covered enclosed courtyard makes for a tranquil and relaxed dining experience. 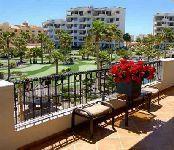 The property includes a bonus one bedroom apartment situated above the business with its own patio and BBQ area. 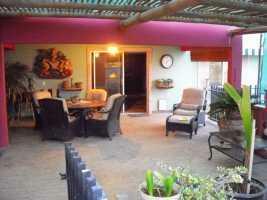 The spacious covered patio with gas grill is well suited for entertaining friends and family. Included are workshops and retail office space that can provide additional income to the owner. This property has much more to offer. 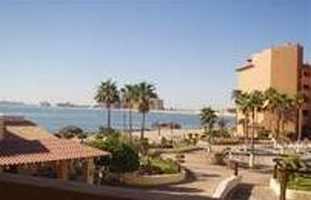 This is a one bedroom, one bathroom condo with spectacular views of the sea of Cortez that inspires peace and tranquility. Enjoy sundowners on the patio and a lazy lifestyle. The condo is perfect for retirement, close to the new state of the art medical centre and within walking distance of five restaurants. 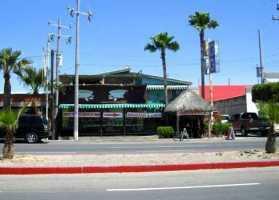 The resort offers a Convenience store, Jacuzzi’s, Pools, Deckchairs, Umbrellas (Both built and mobile), 24 hour security and best of all it is on the best beach in Rocky Point, Mexico. Let’s buy this condo for you! Come and enjoy the safety and peace we have in Puerto Penasco. Call me! A beautiful corner lot with ocean views slightly elevated and close to the entrance to Playa Encanto. 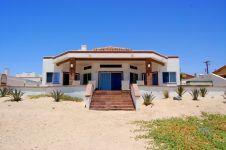 This is a highly sought after area with a pristine beach. The Lot is in the second row and can accommodate a two story structure. It is in a gated community with 24 hour security. These lots sold for More than $120000USD. You can now own this lot for less than $39500.00. Let me show you how by giving me a call on 638 386 9595. This resort is on Sandy Beach with spectacular Old Port and sunset views. It offers 2 pools, Jacuzzi, workout area and is across the road from downtown restaurants and shops. This beautiful two bedroom condo (under $ 89600.00) is located on the 2nd floor and at this price is an excellent investment. For more information Call Corne NOW at 638 386 9595.